We’ve just published a white paper on deploying SvSAN as a multi-node cluster, which you can download here. 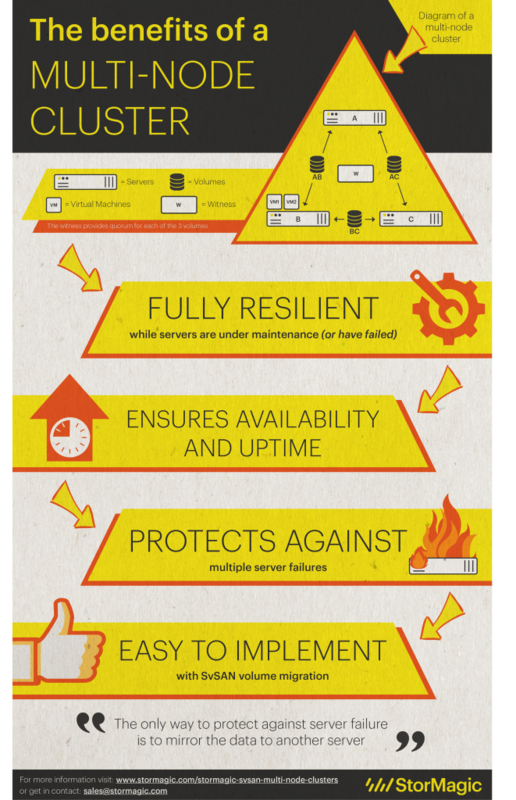 We’ve also made an infographic, which outlines how SvSAN could help your organization, if deployed as a multi-node cluster. Make sure you check out the full white paper for more information. you can also take a look at the SvSAN product page here.